In the 33rd match of the Indian Premier League (IPL) 2019, Sunrisers Hyderabad (SRH) will host the league’s table-toppers, Chennai Super Kings (CSK) on April 17. Both the teams began the tournament as favourites; however, half-way down the season, it seems that only CSK has hold fort so far. It will be exciting for the fans to see if Hyderabad stems the flow of defeats or if CSK confirms an IPL Playoffs’ spot. SRH vs CSK Head-to-Head Record: Ahead of IPL 2019 Clash, Here Are Match Results of Last 5 Sunrisers Hyderabad vs Chennai Super Kings Encounters! The teams will be meeting for the first time this season. However, the last time Sunrisers Hyderabad and Chennai Super Kings met was in the IPL 2018 final, where the latter won the match riding high on Shane Watson’s scintillating century. 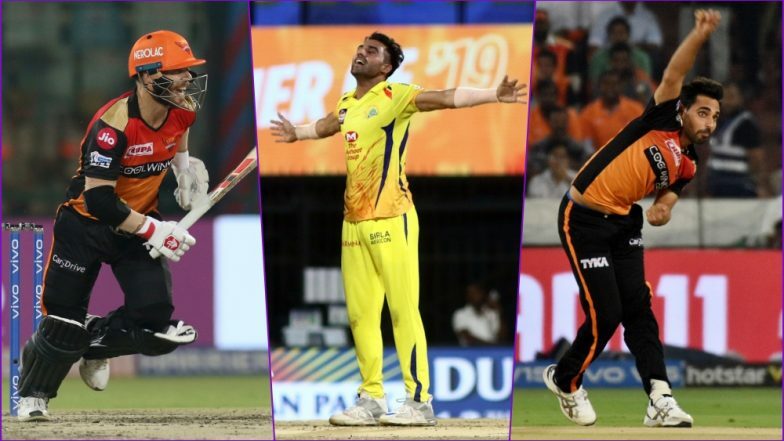 As the clock ticks away for the contest, we at LatestLY bring you a list of 5 key players to watch out for in SRH vs CSK, 33rd IPL 2019 match. SRH vs CSK, IPL 2019 Match 33 Preview: Sunrisers Hyderabad Aim to End Losing Streak Against Chennai Super Kings. The flamboyant left-hand batsman has had a superb return from exile. David Warner has scored 400 runs in 7 innings he has played in the season so far. Also, he is the current Orange Cap holder in the league. For SRH to change their fortunes, David Warner will again have to play a huge role while batting against CSK. How he plays the anchor role in the otherwise inexperienced batting lineup will determine SRH’s winning chances. The right-hand bowler has emerged as Dhoni’s go-to bowler in the tournament. 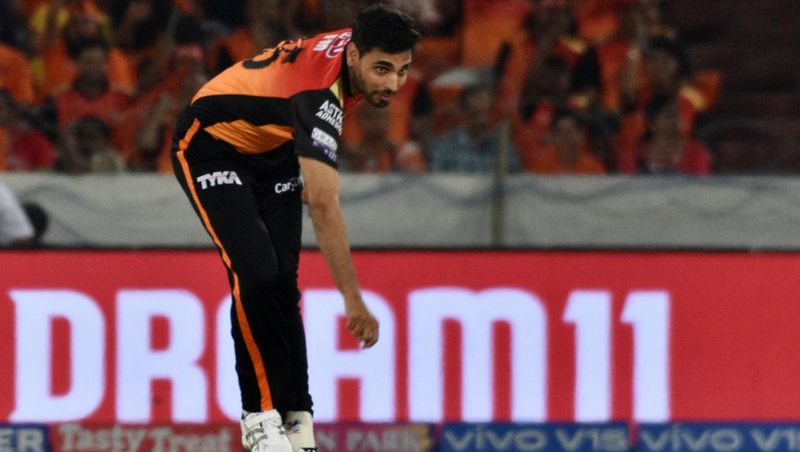 Barring a couple of failures, Deepak Chahar has bowled with a lot of calm and maturity this year. So far, Chahar has picked 10 wickets in 8 matches he has played at an impressive economy of 6.64. His real test will be against David Warner and Jonny Bairstow, who are in a great nick, during the powerplay. How he takes the challenge would be interesting. 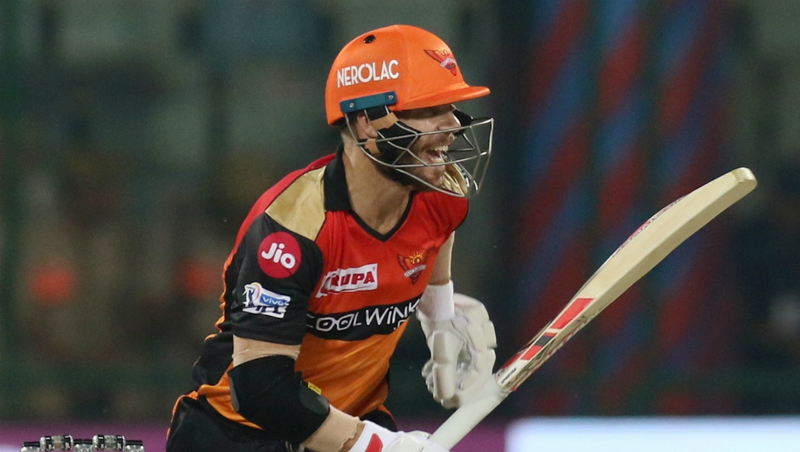 Not many would have known that the wicket-keeper batsman of Sunrisers Hyderabad would emerge as the second-highest run scorer for the team. Jonny Bairstow, along with David Warner, has had a stellar run too, this season. With 304 runs from 7 matches at an impeccable strike rate of 15.70, Bairstow would be looking to carry his form in their fight against CSK too. 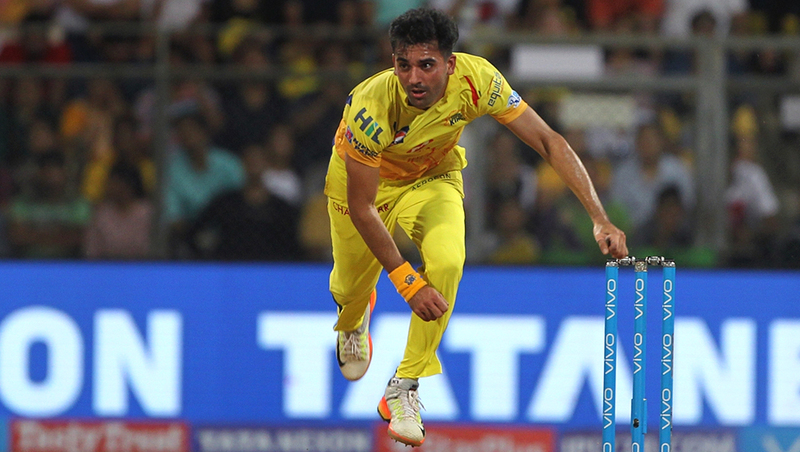 How he manages to get past CSK’s spin attack would be delighting to watch. 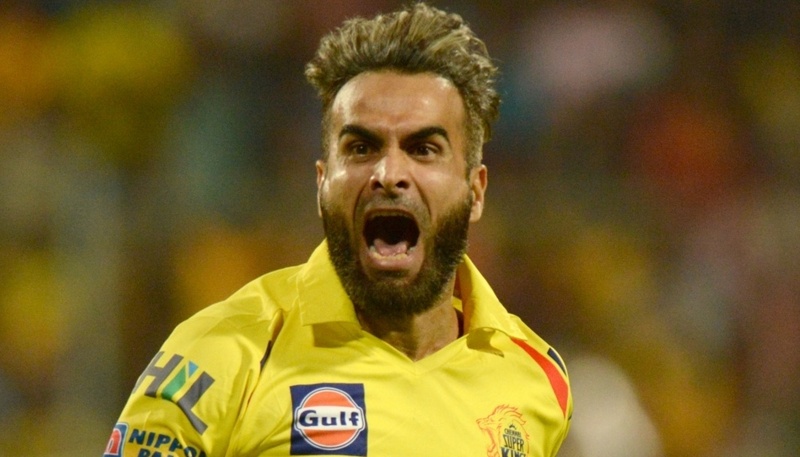 The –marathon-runner- leg-spinner of CSK, Imran Tahir, has had an amazing start to IPL 12; so much so that he is on the second place of most wicket-takers in this season. Not just that, Tahir also has the best average amongst bowlers with 10 or more wickets this year. He has provided crucial breakthroughs for his team, whenever Dhoni has tossed the ball to him. How he negates the threat posed by Warner and Bairstow would be a sight to savour for any cricket fan! The stand-in skipper of the team, Bhuvneshwar Kumar has looked out-of-sorts in this season. With only 5 wickets in 7 matches so far, his stats are more than worrying for the Orange Army. After three consecutive losses in the previous matches, Bhuvenshwar would look to make amends to his bowling to bring his side’s campaign back on track. It will be intriguing to see if the World Cup 2019 spot gives him a bit of extra motivation to tame the mighty CSK lineup tonight. 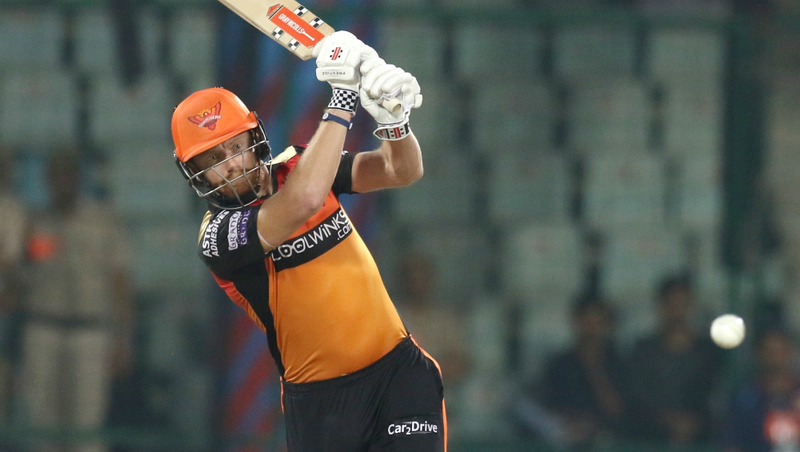 The hosts, Sunrisers Hyderabad, are in a spot of bother after 3 losses in their last 3 matches. However, all is not lost for them yet, but it will soon be, if they continue to fare poorly. On the other side, CSK is on the top of the IPL 12 Points Table, with a leg already in the Playoffs’. Stay tuned to LatestLY for all the latest Indian Premier League (IPL) 12 updates.